This is not as strange as it seems. Recently, the Sony Reader Store closed in the US and Canada with all purchased eBooks being transferred to Kobo and all new content being directly bought from the Kobo Store. Now a leaked document reports that Kobo and Sony are working on a co-branded eReader that uses eInk Mobius technology. eInk and Sony collaborated on developing this new ePaper and recently released the first eReader in the world using this technology, the 13.3 Sony Digital Paper. Sony has an exclusivity contract with eInk meaning no other company can use Mobius technology until the initial contract expires. The document also showed a six inch co-branded eReader that uses eInk Mobius. The design is very similar to the PRS-T3, but one of the interesting features is that the screen is completely flush with the bezel – a la Kobo Aura. 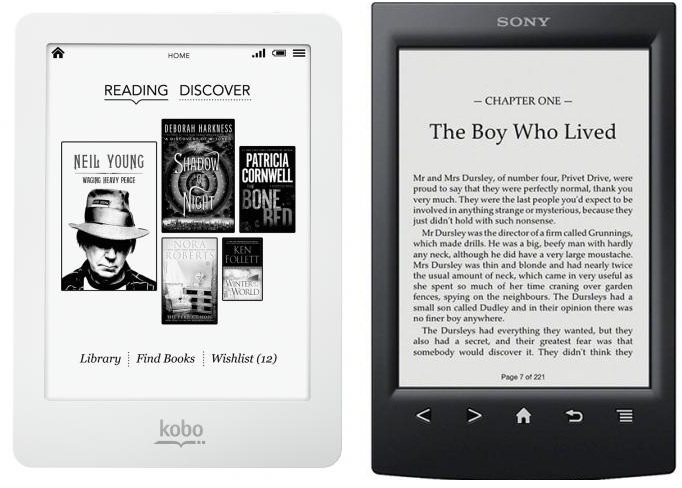 This new eReader will be made by Sony in partnership with Kobo and will be marketed worldwide. The firmware and operating system will be developed and maintained by Sony, allowing them to tie in their own Reader Store in the UK, Europe and Australia. In North America and the greater worldwide audience Sony will be using the Kobo bookstore to deliver content to customers. This might be a good move for Sony. Competition is the eReader hardware arena is fierce and sharing some hardware costs with a partner and cutting down the costs of maintaining a separate store in North America is a shrewd move. They will also be getting a commission for each book sold in the Kobo store when purchased from one of their eReaders. Release wise we could be looking at September which is consistent with prior Sony models.